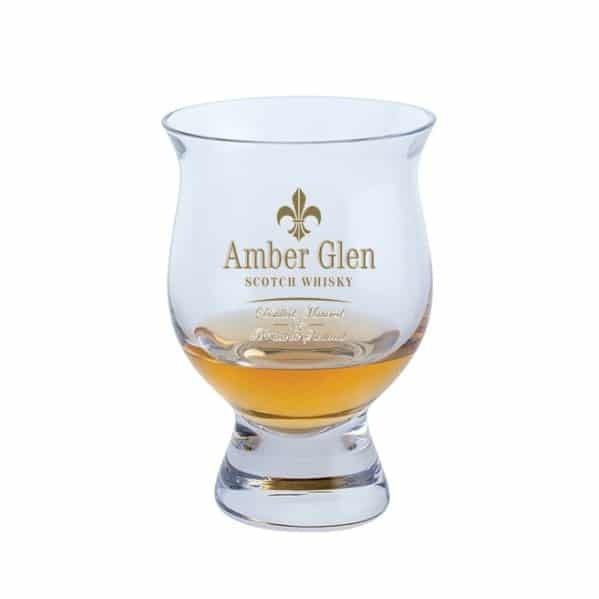 This beautiful crystal glass nosing goblet has been specially designed by Amber Glen to enable you to savour the full whisky tasting and nosing experience. The generous size of this crystal glass nosing goblet allows you to serve your drink exactly as you like it. An especially rich whisky will best express its textures if it is not diluted, though some folk find that the smallest drop of water will heighten the bouquet. 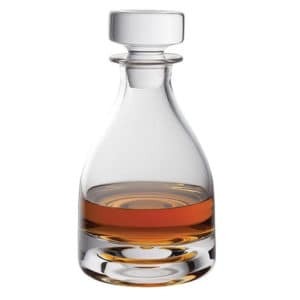 The aroma of whisky is usually heightened in a copita or snifter, rather than a tumbler. 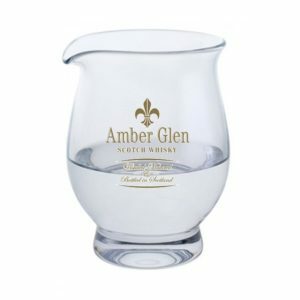 This snifter goblet is designed with a wide lip rim to allow the initial burst of strong alcoholic vapour to be released, thus you can enjoy the rich bouquet and aromas of toasted malts which include peat, flowers, honey, vanilla, liquorice, caramel, coastal brine and seaweed, for example, that play a hugely evocative part of the pleasure in nosing the aroma of the whisky. Nosing or Tasting Scotch whisky is an art form that anyone with a good sense of taste & smell can master. COLOUR & BODY: Hold the glass by the bottom of the stem and hold it in front of you slightly above your head at a 45º angle and gently spin the glass. Note the viscosity of the oily tears that run gently down the back of the glass. SNIFF: Keep the glass perfectly flat and sniff 3 times at intervals of 3 to 5 seconds between each sniff. 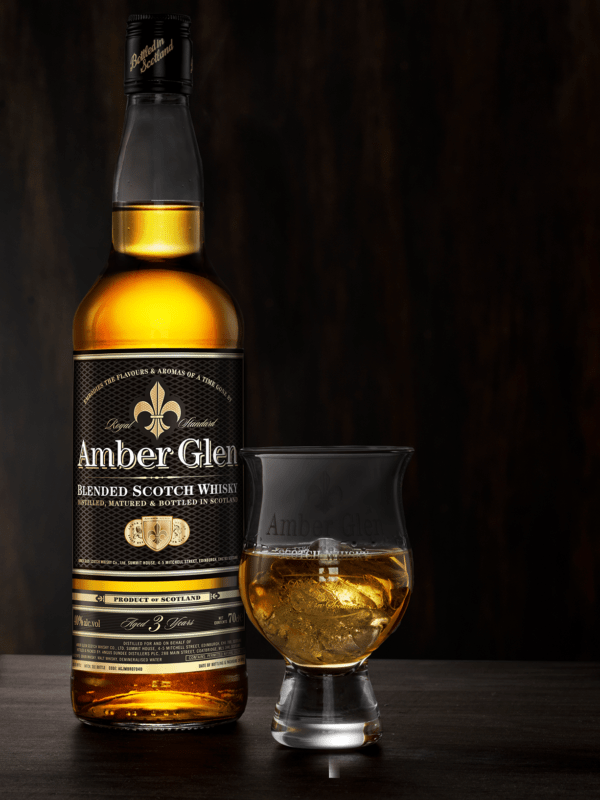 3rd Sniff “The Flavour” – Vanilla – Butterscotch – Citrus fruit – Dried fruit – Raisins – Berries- ChocolateThe above are just some of the smells and tastes that Amber Glen Scotch whisky embodies, your nose and palate may discover some others. SIP: Take a small sip, then Chew and Bite the whisky 3 times on each side and roof of your mouth, so that your whole palate salivates and gathers over the centre of your tongue, then slowly swallow down the whisky. Note: Think about the aromas & flavours and the tingling warming sensation as you swallow down the whisky.